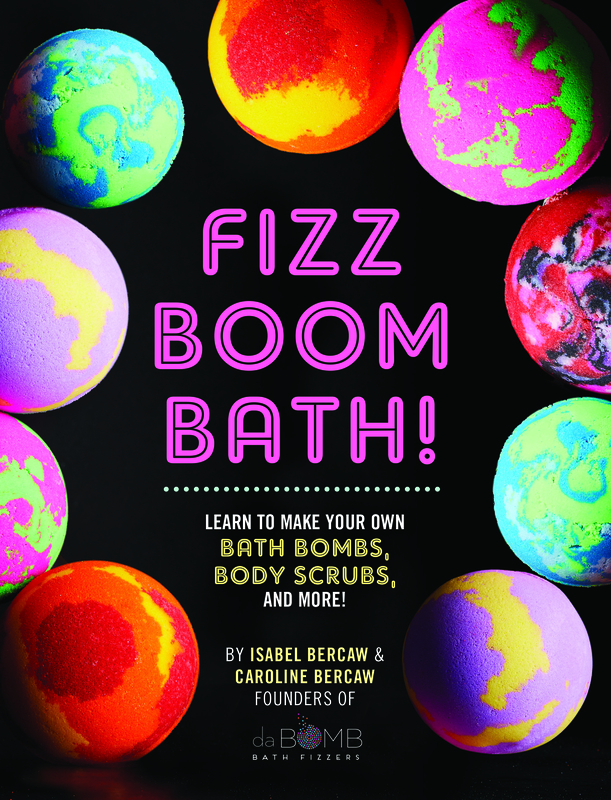 Fizz Boom Bath © 2018 by Quarto Publishing Group USA Inc. Da Bomb is a registered trademark of Da Bomb, LLC. “Sisterpreneurs” is a trademark of Da Bomb, LLC. Photography: Evi Abeler. First published in 2018 by Rock Point, an imprint of The Quarto Group 142 West 36th Street, 4th Floor New York, NY 10018 USA. 1 In a large bowl, mix together the baking soda, citric acid, and cornstarch. 2 In a separate bowl, combine the oil and fragrance. 3 Add the wet ingredients to the dry ingredients and mix with your hands until the mixture becomes the consistency of wet sand. (If you don’t like to get your hands messy, you can wear rubber gloves for this part.) The more vigorous your mixing style, the better the ingredients will be distributed, so don’t be shy. Five minutes of stirring, compressing, and kneading should do the trick. 4 Press a ½-inch (13 mm) layer of bath bomb mix into the mold. The sides should be higher than the center, like the peel of a hollowed-out orange, and the edges should be a bit ragged. Allow to dry completely before removing from the molds. 5 Next, add a few drops of rubbing alcohol to the silver mica. Stir until a thin paste forms. With a paintbrush, paint the outside of the bomb with the paste. Let sit for 1 hour. 6 Add approximately 1 tablespoon of coarse sea salt to each painted half sphere, making sure to spread the salt to the outer edges of the half sphere. 7 Next, add 12–15 drops of liquid color to the 8 remaining tablespoons of coarse sea salt and mix well to distribute the color. 8 Add the colored sea salt to the center of the bomb and spread it out, as desired. Note: Spreading it to the very outer edge of the mold will create the most realistic-looking geode. 9 Heat the coconut oil in the microwave for a few seconds to melt it. Using a pipette or spoon, distribute the coconut oil, drop by drop, over the sea salt to bind it together. 10 Let harden and sprinkle the eco glitter on top to complete the look. 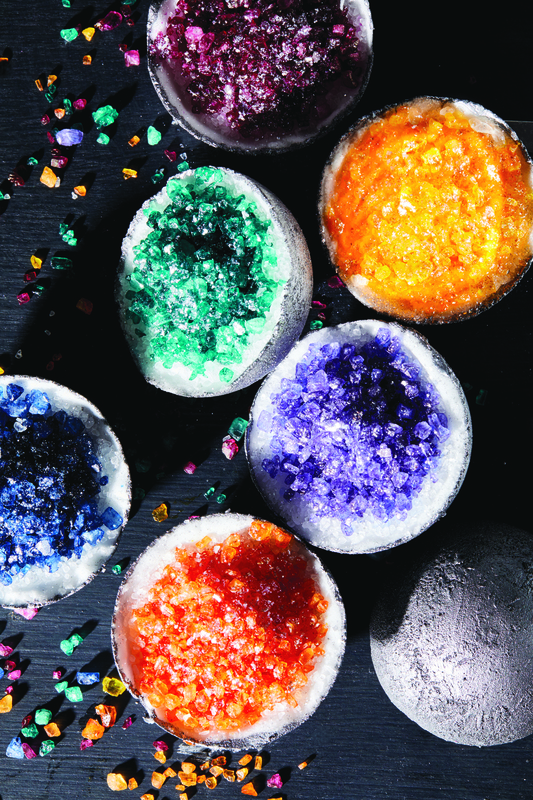 This entry was posted in Recipes and tagged bath bombs, Christmas gift ideas, home made. Bookmark the permalink.